Anita Olson has devoted her life to dance since the age of 3. She began under the tutelage of her mother Audrey in the family garage. (Audrey's enterprise would soon be known as Muskego Dance Studio.) In the late 1970s, Anita lived life as a singer, dancer, and actress in both New York and Los Angeles. In the late 1980s, Audrey fell ill with ALS and Anita and her younger sister Julie took over dance studio operations. In 1994, Muskego Dance Studio moved to its current location and was renamed Anita's Dance Center. It has since fulfilled all of Audrey's wildest dreams and then some, with Anita being named the Tremaine National Dance Teacher of the Year in 2011-12. She is proud to be able to work with such a dedicated staff, including her two sons. Brooke began taking classes at the Dance Center almost 30 years ago and has been a member of the staff since 1997. As a student, she was a member of the Midwest Connection Dance Company, the official Milwaukee Wave dance team (Splash), and one of the earliest incarnations of Anita's Competition Team. At Marquette University she received her degree in finance and spent 3 years as captain of the school's dance team. She has since become an integral part of the Anita's Dance Center family, overseeing Anita's Dance Companies and teaching a wide variety of classes each week. 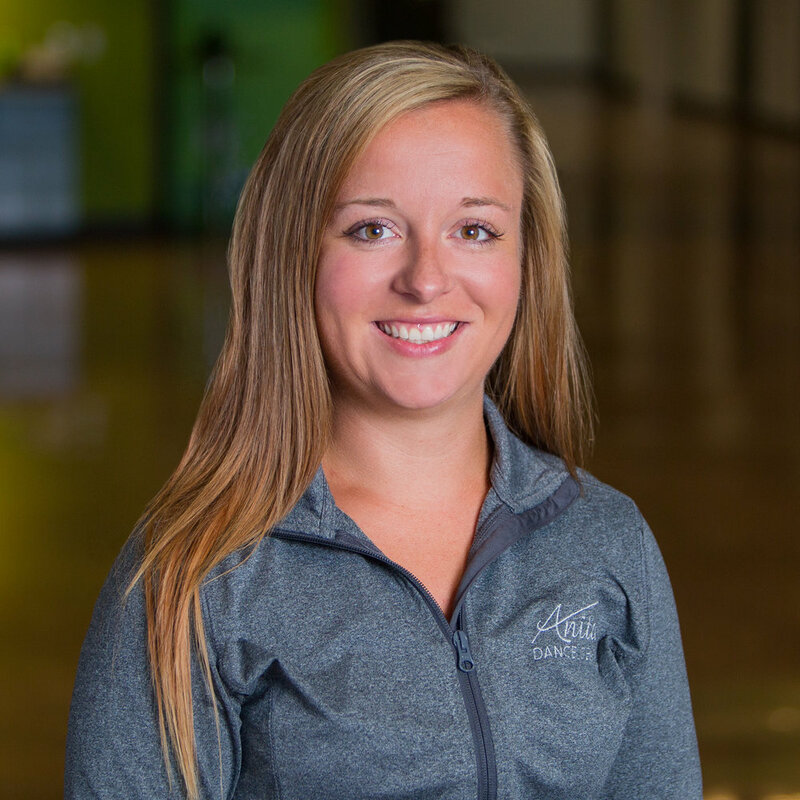 Brooke enjoys cooking, yoga, and spending time with her husband and two young children. She is continually inspired by the passion she sees in her students. Michelle has been with Anita’s since the age of 3. As a student she was a member of our award-winning Competition Team, a captain of the Midwest Connection Dance Company, starred as Clara in our production of The Nutcracker, and won 3 scholarships with the Tremaine Dance Company. While earning a bachelor’s degree in Communication at the University of Wisconsin-Milwaukee, she spent 3 years as the captain of the school’s dance team. She followed that up with 1 year on the Milwaukee Brewers Diamond Dancers and 4 years as the captain of the Milwaukee Bucks Dancers. She’s also had a distinguished career in poms. She says she could not be happier to be part of the Anita’s Dance Center family and wouldn’t be the dancer, instructor, or person that she is today without it! Jacki began dancing at Anita's as a 5-year-old. As a student she was a member of all of our performing groups including the Midwest Connection Dance Company, the official Milwaukee Wave dance team (Splash), and our Competition Team. She joined the teaching staff in 2000. After high school Jacki double-majored (Theatre Arts and Communications) at the University of Wisconsin-Parkside and then attended Marquette University to pursue her master's degree in Advertising and Public Relations. In 2010, she left for New York City to pursue a job in digital marketing. During her time there she attended classes at the Joffery School of Ballet, wherein she rediscovered her love of ballet. She is thrilled to be back at Anita's working with such an amazing staff and wonderfully talented students. Cailin has been with our Dance Center for the past 25 years, both as a student and teacher. While continuing as a member of our staff, she works as a registered nurse at St. Luke's Cardiovascular ICU. She is also a member / volunteer for the AVA – The Association For Vascular Access. We are very grateful to have Cailin as a member of our dance family! Jena has spent the past 25 years at Anita's, including 15 years as an assistant and teacher. In addition to her place on our teaching staff, she is a nurse practitioner in cardiothoracic surgery. She spends her free time as an event coordinator and volunteer with Hope Without Borders International. We are thrilled to have her at our Dance Center! Taylor has spent 20 years at Anita's as both a student and teacher. From 2011 through 2015 she trained under Joe Tremaine with the Tremaine Performance Company. She is a past President of the UW-Madison Dance Elite Competitive Dance Team and is currently a merchandise analyst at Kohl's Corporation. We are so happy to have her on our staff!